We offered recording activities at the Lowestoft Library "FUN PALACE" event on Saturday 6th October. We plan to hold similar events in the future. If you have a function coming up in the Lowestoft area which you think would be of interest to our listeners please let us know so that we can put it on the Informer tape. We now send our recordings to the British Wireless for the Blind and they are available to listen to on their radios for members. You can find more information about the British Wireless for the Blind here. 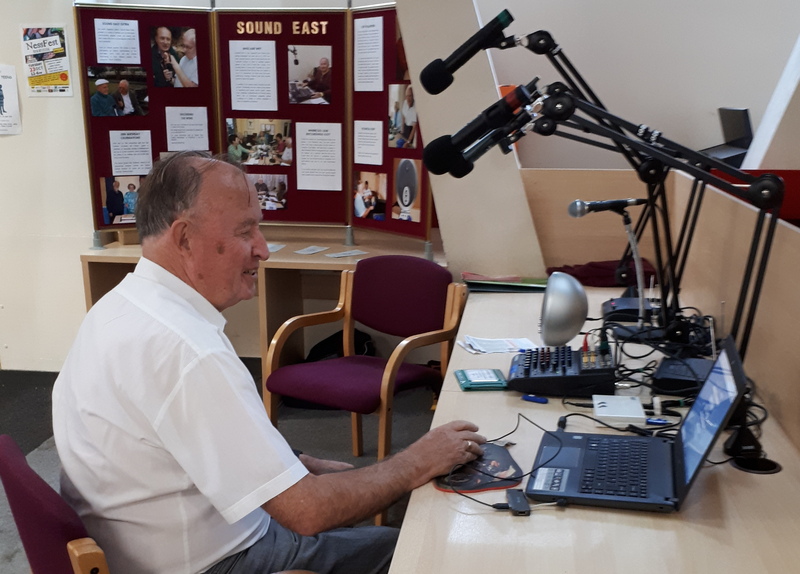 Did you know that our weekly news recordings are sent to Hospital Radio Yare and played during the evening once a week? You can view their Facebook page here. Don't forget that Talking Books don't work with our equipment, due to the technical requirements. The USB sticks with the Talking Books on require equipment that has more power than that supplied by Sound East. November 2015: Sound East would like to thank the Lowestoft branch of the Norwich and Peterborough Building Society. As part of the Yorkshire Building Society Charitable Foundation 'Small Change Big Difference Week' we were nominated as a local good cause to be considered to receive funds, and as a result we received a cheque for a donation of £100. Many thanks to those who nominated us (customers, colleagues and members of the public are able to make nominations) and to the local branch for making the donation. It is greatly appreciated!